Products / M.P.E. 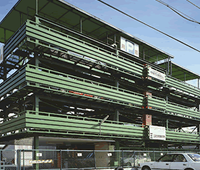 Co., Ltd.
Utilized as parking space adjacent to residential area mainly. In case of securing more parking areas even in narrow spaces for neighbor residents, this is very optimal. The large mechanical parking system which is most suitable for the parking space management in an inner city and commercial areas. 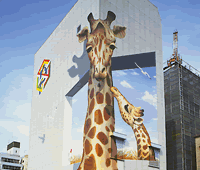 Please appoint the tower parking system which is energy saving, ministry space, the effective storing. You are able to see M.P.E. techniques sufficiently. 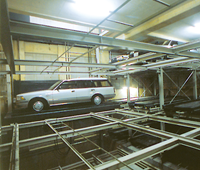 The upper space of the entrance can be used as parking ridge, so it is possible that storing double than the other company's parking system at the maximum. The operation is simple with touch panel. Temporary renting and monthly contracts are available at the same time. In the case of constructing new buildings and apartments, we suggest the mechanical parking system which uses underground space effectively. Also we propose and design for various conditions and demands as the building built-in type.